Snakebot is back and is now easier to make! 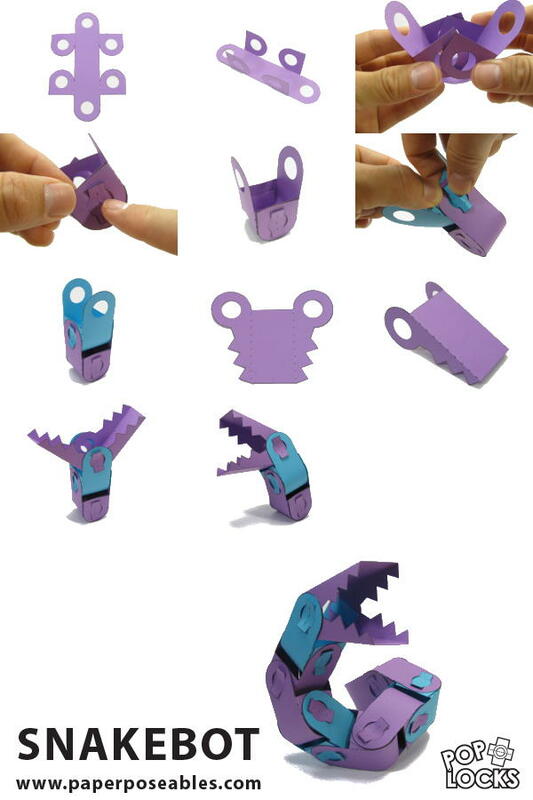 Poplock Snakebot is a single template that you print over and over again to make longer and longer snakes! 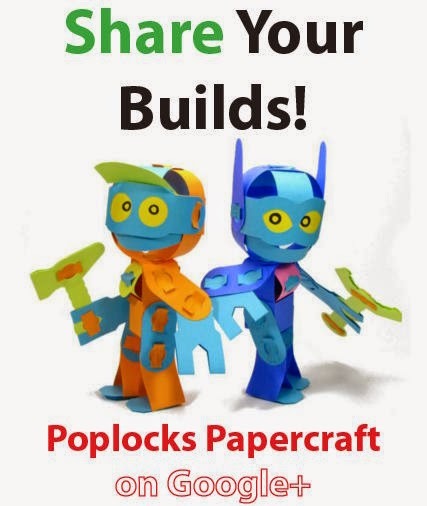 Click "Read More" to see how to download, cut-out, and assemble Poplock Snakebot! 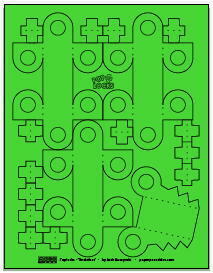 This is the template for Poplock Snakebot. Click to download the PDF, which can be printed on A4 or US Letter sizes of paper. It is recommended that you print on 65 lb. or thicker card stock! The parts are lined up for easy cutting with scissors and/or knife. Thanks to Joe Diver for optimizing the template! Cut out circles with a 5/8" hole punch or a craft knife. How will you pose your Snakebot? Toddlers are interested in sensory materials such as paint, play dough, crayons, and chalk. They usually are not interested in drawing or painting a specific object. toyez.net has the different types of pretend toys.